The Blackstone Group L.P. (NYSE:BX) is seeking to sell its Boston Area tower at a staggering $2.2 billion. According to Bloomberg.com, Blackstone has hired Eastdil Secured LLC to oversee the marketing of the proposed sale. The building is a 42 story skyscraper, which will soon be Verizon Communications Inc. (NYSE:VZ) headquarters. 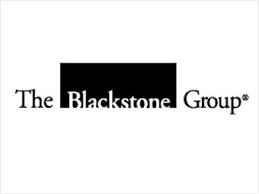 The Blackstone Group L.P. (NYSE:BX) is eyeing the sale to take advantage of many buyers who are willing to pay huge sums for buildings in prime locations. The 1.2 million-square-foot tower currently hosts Metlife Inc (NYSE:MET), an insurance company, and Verizon Communications Inc. (NYSE:VZ), which is set to make the building its headquarters today. The location of the building, its architecture, and the renovation that was carried out by The Blackstone Group L.P. (NYSE:BX) after it acquired the building definitely makes it lucrative for businesses. The Wall Street Journal, in an elaborate article, states that The Blackstone Group L.P. (NYSE:BX) has been on a selling drive in a bid to take advantage of the current market boom that has seen the prices of prime properties skyrocket. It’s also in line with a strategy by the company to sell out some of the buildings that it purchased and renovated. Efforts to reach representatives of either The Blackstone Group or Eastdil Secured LLC for comment have been futile. The Blackstone Group L.P. (NYSE:BX) is also planning to raise $1 Billion by making its Industrial Property public in 2014. This article has been writte by Victor Ochieng.